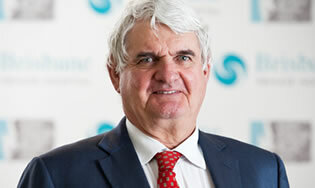 Dr Peter McMeniman was educated in Brisbane and received his medical degree from the University of Queensland in 1969. He completed his Orthopaedic training and was admitted as a Fellow of the Royal Australasian College of Surgeons in 1977. Dr McMeniman’s practice focus is knee surgery, both arthroscopic and reconstructive. He is an experienced arthroplastic surgeon specialising in both primary and revision knee replacement surgery. Dr McMeniman is a Clinical Lecturer at the University of Queensland. For details regarding Dr McMeniman’s billing practice, please contact his Secretary on (07) 3839 5095.